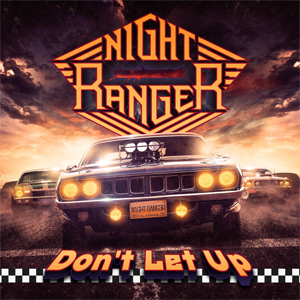 Frontiers Music Srl will release Don't Let Up, the new studio album from NIGHT RANGER on March 24th. The album will be available in both a standard edition and a deluxe edition (featuring bonus track and bonus DVD - physical format only). Beginning today, a second song, the title track, from Don't Let Up has been released. Get an exclusive first listen below. "The Don't Let Up album is the result of five musicians living and breathing rock 'n roll 24 hours a day. 35 years on and NIGHT RANGER is once again ready to let the fans know "It's Only Rock and Roll, but I like it," says bassist/vocalist Jack Blades of the new album. "Won't Be Your Fool Again"